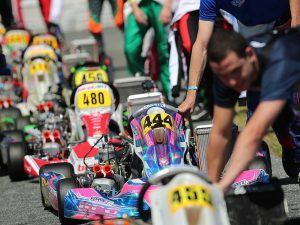 November 13, 2015, Florida — ROK Cup USA is proud to have partnered with MAXSpeed Entertainment for its 2nd year at the largest winter racing series in the world, Florida Winter Tour. With the official race schedule and tracks announced just over a month ago, MAXSpeed Entertainment has now opened up registration for the 2016 Florida Winter Tour series. 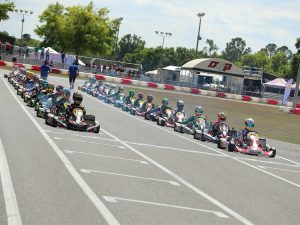 Discounts will be offered with advanced registration for competitors who register for all 3 rounds of the ROK Cup USA. Online registration will close two weeks prior to each first event week, with the discounted registration only available through midnight EST Monday, December 28, 2015. On site registration will also be available for a service fee of $250. Registration can be completed via the direct link HERE. The ROK Cup USA weekend will see one significant change in 2016, as all classes will move to the Bridgestone ROK tire. The ROK (YLR) will be the spec slick tire for all classes as well as the (YLP) for rain. 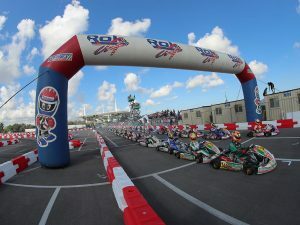 With this change the FWT ROK Cup USA will align with the successful international program, and this will also help our Team USA drivers compete to bring home the international ROK title. Be sure to reserve your spot in what is surely to be the best racing this winter, and for more information and updates about pit space, hotels, and more, visit MAXSpeed Entertainment’s Florida Winter Tour page.